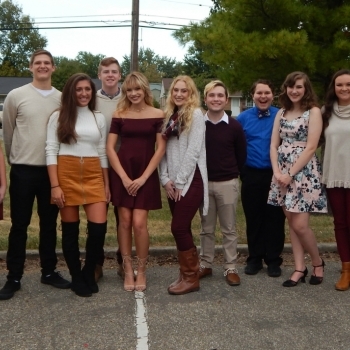 Wednesday evening was the annual homecoming parade and bonfire. 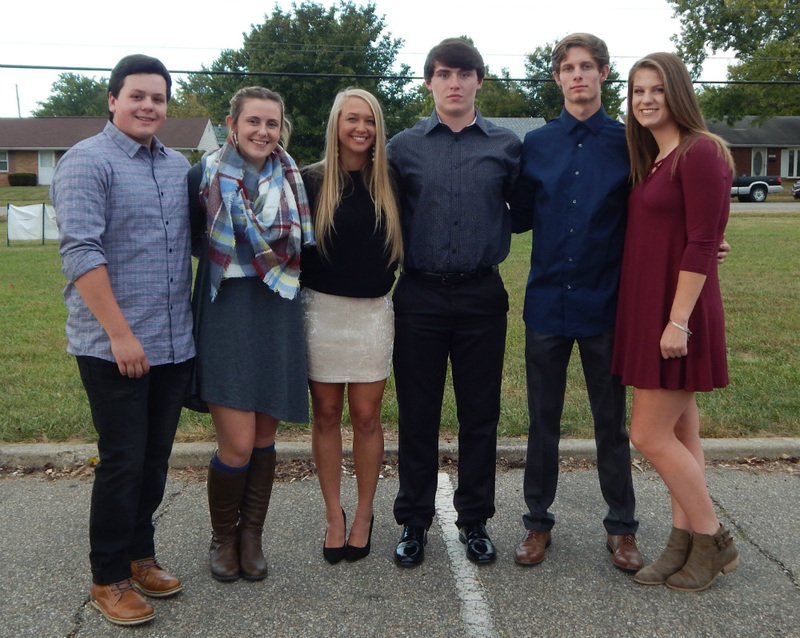 We have a great representative of each of the classes serving on our court this year. 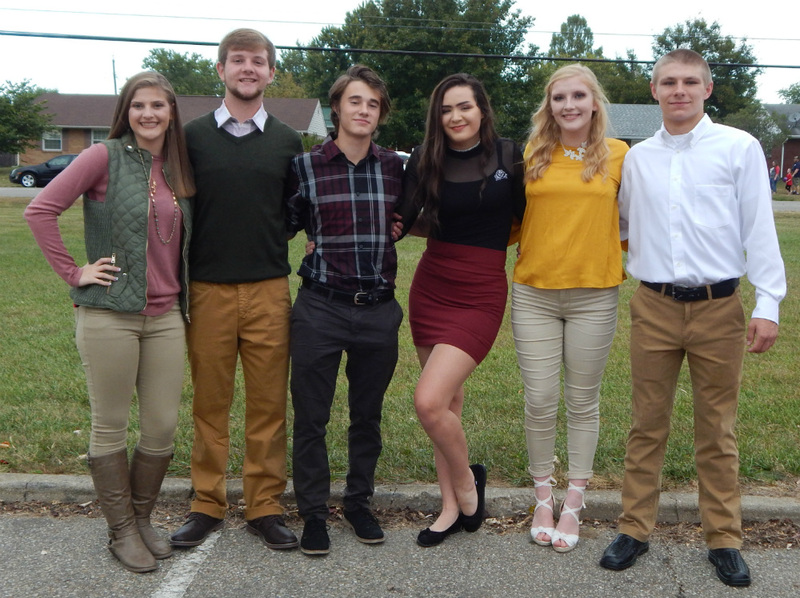 Freshmen, from left: Melia Sargent, Tyler Woods, Hannah Sandlin, Xavier Combs, Austin Jennings, Ronika McGraw. 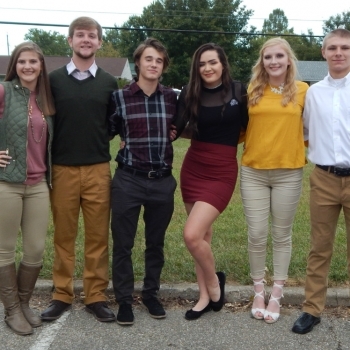 Sophomores, from left: Samantha Earnhart, Zach Johnson, Cameron Deaton, Jaidon MInor, Alyson Tussey, Gage Johnson. 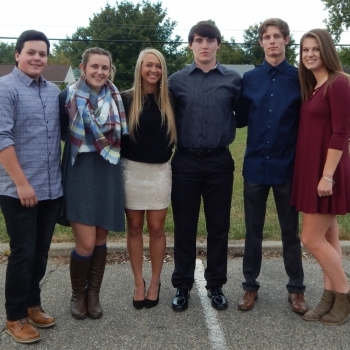 Juniors, from left: Brendan Erwin, Emma Bicknell, Breighton Tinch, Jacob Bowermaster, Seth Bednarski, Taylor Haddix. 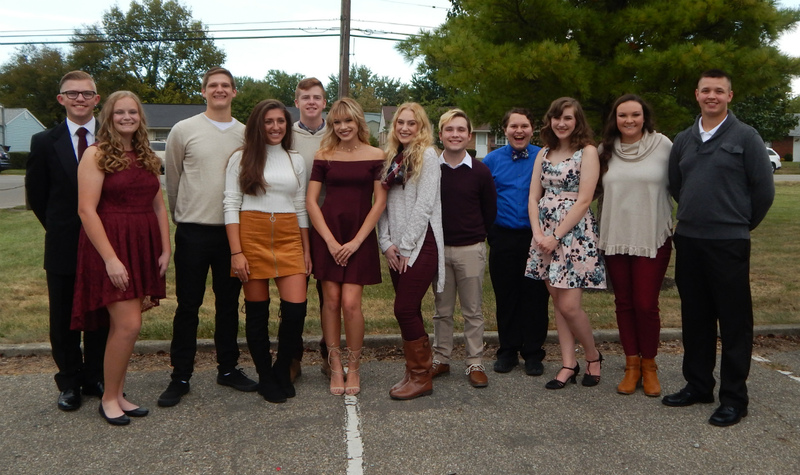 Seniors, from left: Ben Eyink, Jessica Thornton, Cole Crane, Taylor Schneider, Blake Tussey, Morgan Gentry, Megan Brock, Bill Franer, Dylan Gray, Logan Miller, Jessica Frazee, Austin Woods.